“I remember that since I was little, I liked the vans. 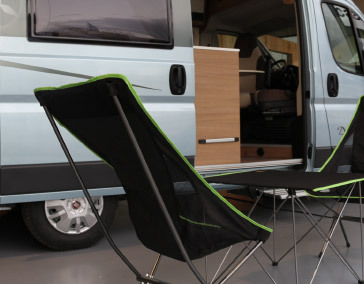 One day, driving to Barcelona, ​​I saw on the road a blue T3 with two colors. I stopped and without thinking it twice I changed it for my Seat Panda. I equipped it with a bed seat, fridge and some curtains that my mother made for me. It was a whole discovery, a new way of living. Transporting your house above was a great advantage when I wanted to go climbing, skiing, cycling, etc. I no longer had to look for lodging, to be aware of schedules and I no more bivouac! I felt free That’s how everything started, with a blue van when I was 28 years old. Several years have passed and now we are an enthusiastic team of the world of leisure vehicles. 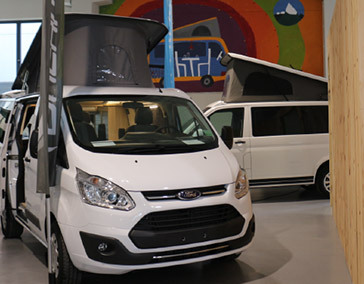 We like to think that with each van, camper van or auto caravan we sell we are offering you the possibility to enjoy the freedom to discover every corner of the world, the way and rhythm of each one of you. This is what we best know and for this reason we offer all services related to new vehicles, used vehicles, equipment, accessories and rental of vehicles. We look for and select in great detail the occasion vehicles to offer you the best option of the market, verifying the state of the vehicles. We have our own workshop with a very professional technical team and advised by the brands we represent. We also have an accessories store and we offer you products from the best brands. A fleet of 10 vehicles for renting, none of them is older than 2 years, allows us to offer a luxurious range of possibilities to enjoy the holidays with maximum comfort. Catalunya Van is at your disposal to find the best vehicle that suits you best.